New to Bristol Omnibus in May 1966 and based at their Bath depot, the vehicle was retired out of service with the Bristol Omnibus in April 1974. Following service with Fowey Bus and Taxi Co, the vehicle passed to Kimes Coaches, Folkingham, Yorkshire Travel, Scarborough and District Motor Services, East Yorkshire, before preservation with Beckett of Hull in Aug 92. Passing to Brian Sharpe of Derby in August 96, the vehicle was purchased by Autosound of Bradford for publicity purposes. Interior restoration included new seat moquette to original pattern, sidewall and decency screens retrimmed and new linoleum fitted to the substantial floor. Mechanical work was linked to service and MOT inspections (class 6) though new wiper motors and locker door hinges were fitted. Items which were also new include the water pump, exhaust, headlamps, mirrors and wheel trims. 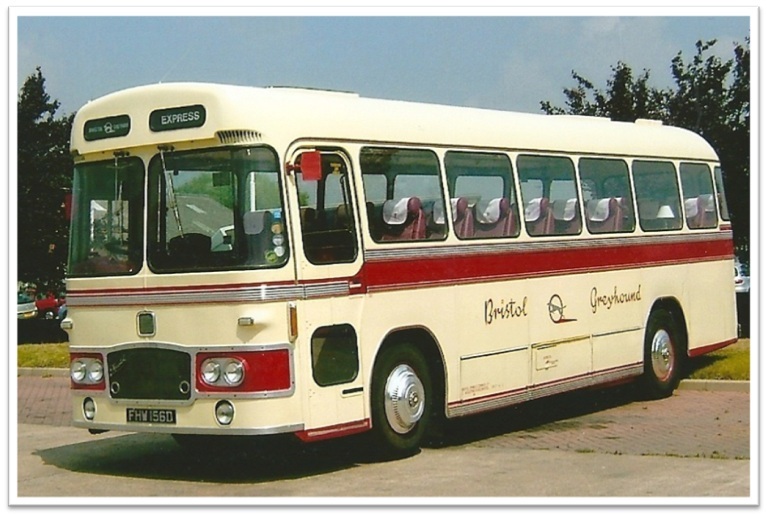 The vehicle passed to Neil Millington on his retirement from Autosound in 2005 and became part of his Classic Connections heritage fleet, before being sold to Mike Walker, Martyn Curtis and their Bristol Omnibus Group in Jan 2009.